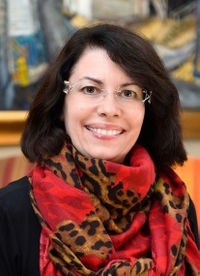 Ruth Lanius, MD, PhD, Professor of Psychiatry is the director of the posttraumatic stress disorder (PTSD) research unit at the University of Western Ontario. She established the Traumatic Stress Service and the Traumatic Stress Service Workplace Program, services that specialize in the treatment and research of Posttraumatic Stress Disorder (PTSD) and related comorbid disorders. She currently holds the Harris-Woodman Chair in Mind-Body Medicine at the Schulich School of Medicine & Dentistry at the University of Western Ontario. Her research interests focus on studying the neurobiology of PTSD and treatment outcome research examining various pharmacological and psychotherapeutic methods. She has authored more than 100 published papers and chapters in the field of traumatic stress and is currently funded by several federal funding agencies. She regularly lectures on the topic of PTSD nationally and internationally. She has recently published a book ‘Healing the traumatized self: consciousness, neuroscience, treatment’ with Paul Frewen.